We ship to almost every country! Lonsdale is a boxing and clothing brand that was founded in London, England in 1960. Ex-boxer Bernard Hart started the brand as a boxing equipment company, but it eventually branched out into clothing as well. 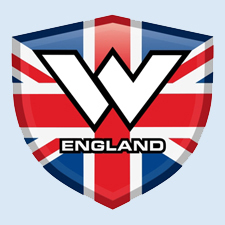 Since 1995 Warrior Clothing have been selling classic British Heritage fashion all over the world. Though most famous for their authentic Harrington jackets, we are proud to sell a collection of world class and working class retro clothing and accessories. So ... test drive a genuine British brand. Relco London is a long established menswear company which specialises in retro styles with high quality cotton fabric. The focus is on the 1960s, with the influence of the Mod, Ska and Skinhead styles. The British brand Three Stroke Productions was founded in 1997 in London, knowledge of the apparel industry was then restricted, but was offset by good ideas and trusted partners. Three Stroke Productions has now established itself in the market and has been praised for its comfortable, powerful and flexible garment. Fabrics, fit, colour and detail are the key ingredients in the recipe that are handled with care. One would like to think that the garment tells a story, it is not just a shirt, jacket or a pair of pants. There is much more behind the Three Stroke Productions clothing; hard work, passion and commitment. The brand Fred Perry have originated in England when triple Wimbledon champion Fred Perry took out both the sweatband and the iconic white polo shirt with the Austrian footballer Tibby Wegner during Wimbledon 1952. Fred Perry polo shirt was an immediate success and became particularly popular with mods at the end of the 50th century who requested more color combinations to compliment the standard white tennis shirt. In the 60-70 century, the natural choice of clothes from the skinheads to the Northern Soul culture enthusiasts. 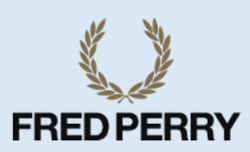 Fred Perry logo is a laurel wreath, so-called "Laurel Wreath" which is based on the original symbol Wimbledon. The laurel wreath that has become synonymous with Fred Perry are often - if not always, the brand's products, most commonly used as embroidery on the chest of polo shirts. The brand has a huge range of clothing and accessories for men and women worldwide, and has become a landmark in British fashion. Fred Perry delivers even often special collections focus on known profiles, such as artist Amy Winehouse, cycling legend Bradley Wiggins and the band No Doubt.